If you are coming from Cat's Blog, you are on the right track. Should you get lost along the way, you can find a list of participants through this link. Grab your favorite snack and relax in your comfy chair as you peruse the artwork we have to share with you. I'm excited to see it as well! I decided to go a little non-traditional on this Christmas card, pulling products from one kit and adding in a couple of pieces of cardstock. I love the look of this color combination and hope you do too! 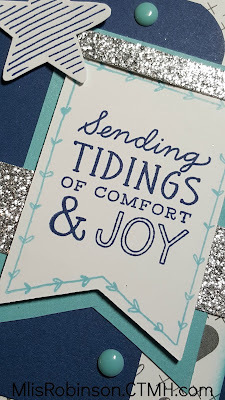 The two colors of cardstock and coordinating inks used were Sapphire and Crystal Blue. Thank you very much for stopping by today. 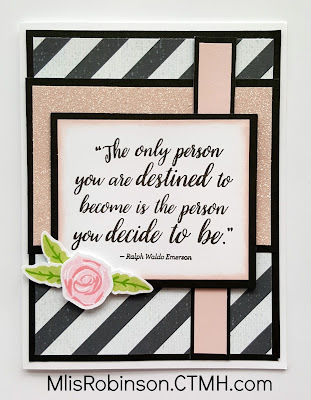 Let me know what you think of my card and then head on over to Melinda's Blog to see what wonderful artwork she is sharing with you today. Tomorrow is International Talk Like a Pirate Day and we, at Heart 2 Heart, decided to focus on that as our theme this week. We hope you will join the fun! Remember, you can interpret the theme as you choose, just be sure to use Close To My Heart products in your creation and then link up to H2H. 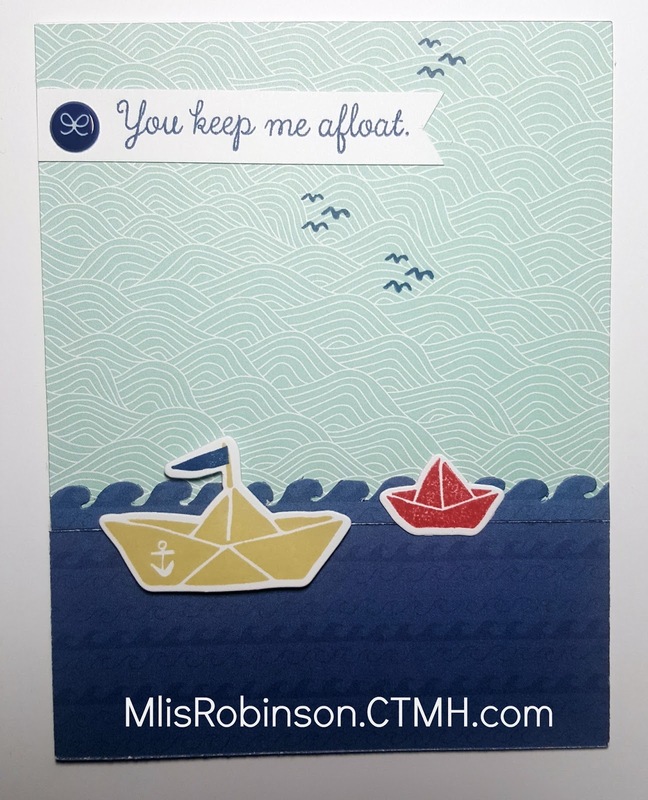 This fun was card to put together with a soothing and positive message. 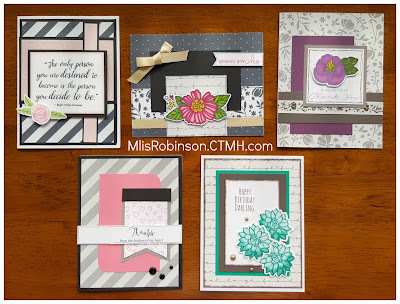 It was kept pretty simple with the use of the patterned paper and just a few stamped images. It makes me happy...and makes me want to get to the beach! How 'bout you?! Thanks so much for stopping by. Now, go to Heart 2 Heart and share your artwork. We love to see it! 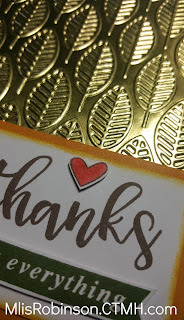 Welcome to this month's Technique Blog Hop, "Fabulous Foil", where participating Close To My Heart Consultants feature shiny artwork. I am excited to see what they share and hope you are too! If you are coming from Cat's Blog, you are on the right track. You can find a list of participants at the bottom of this post, should you get lost along the way. Now...onto the fun! Here is a sneak peek of my creation! 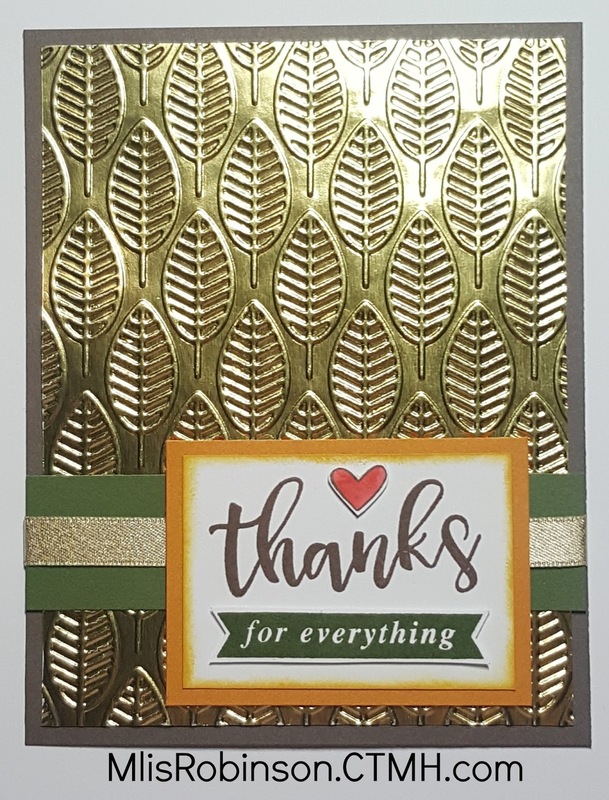 Are those gold embossed leaves beautiful?! I love how simple it was to get this look so let's see what I did. 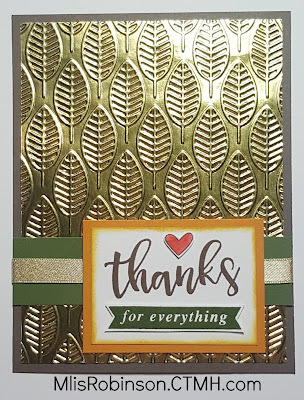 I used our Gold Foil Paper, which I absolutely love, and the Leaves Embossing Folder to create the primary background on this card. By sandwiching the piece of gold foil paper in between two 'C' plates, and running it through the Cuttlebug, this was the resulting look. So beautiful and simple! Needing a fall-themed stamp set, I headed straight for this month's Stamp of the Month, "So Blessed". The images are stamped in Espresso and New England Ivy inks. I used a Sponge Dauber to distress the edges with Saffron ink. The heart was colored in with Ruby ink, applied with a Waterbrush Pen for a watercolor look. If you haven't yet purchased our Foil Paper - in Silver or Gold, I strongly suggest you give at least one of them a try. It's such a great quality of cardstock - 10 lb. cover weight. It's definitely not a cheap paper! You will enjoy working with it, I promise! And...don't forget to choose an embossing folder. We have several that would look great embossed on foil. Thank you very much for stopping by. 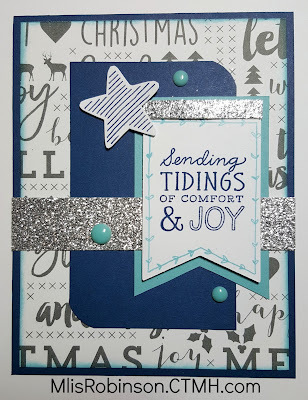 Let me know what you think of my card by leaving a comment below and then head over to Janna's Blog to see what she has up her sleeve in the way of creativity. Enjoy the hop and your day! 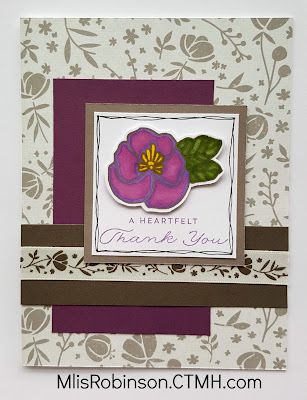 Welcome to our Blog Hop where we are highlighting National Stamping Month, the beautiful card kit, "From the Heart", and an exclusive stamp set made available by Close To My Heart this month. You can get all of the "From the Heart" card kit contents at a 20% discount, with details provided here. 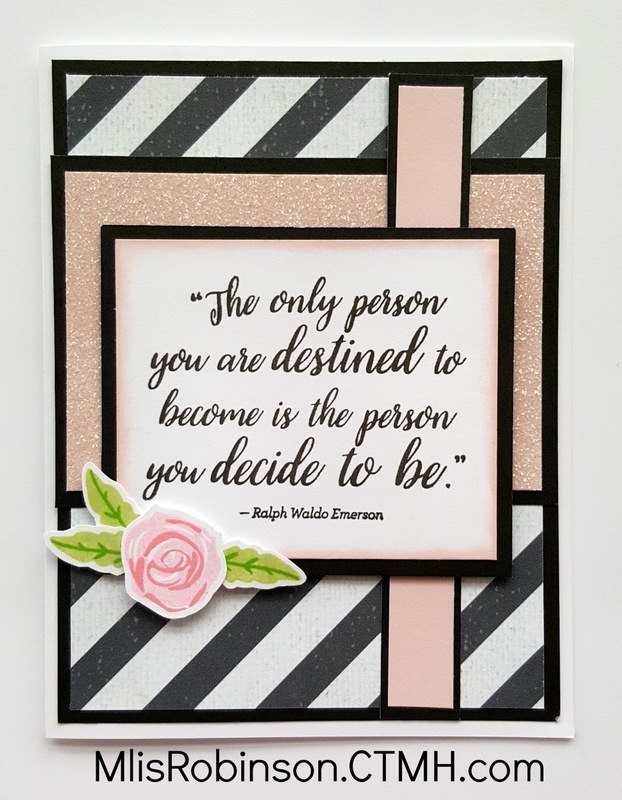 You can also elect to purchase the exclusive, E-size stamp set containing sentiments for the inside and outside of your cards. 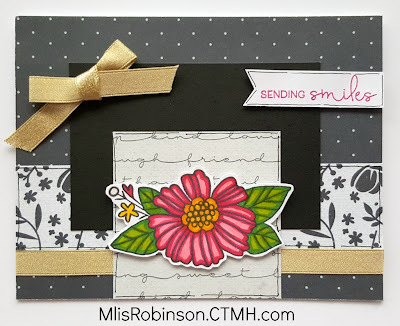 It also contains coordinating images for stamping floral scenes on cards and envelopes. I'm sure you can count on seeing some creative ways to use this stamp set so be sure to continue through the hop once you are done here. 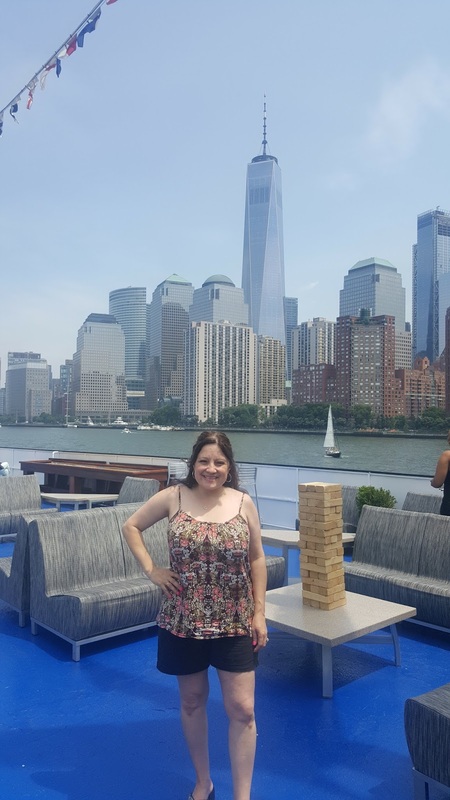 If you are coming from Wendy Kessler's Blog, you are on the right track. If you were to get lost along the way, you can find a list of participants here. I'm pleased with how this card turned out and used the two patterned papers from our Cats & Bats, Halloween pack. Who would have guessed, huh?! They are two of my favorite patterns from the Holiday Expressions. They added some fun to this card and I hope you like it. Next up is Brenda Lapp's Blog. Head on over there to check out her artwork. Thanks so much for stopping by. Enjoy the rest of your week and happy hoppin'! 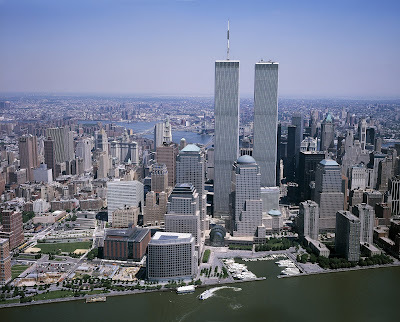 I still remember where I was the moment a colleague came into my classroom and told me to turn my tv to CNN as we saw a fiery hole in one of the Twin Towers. 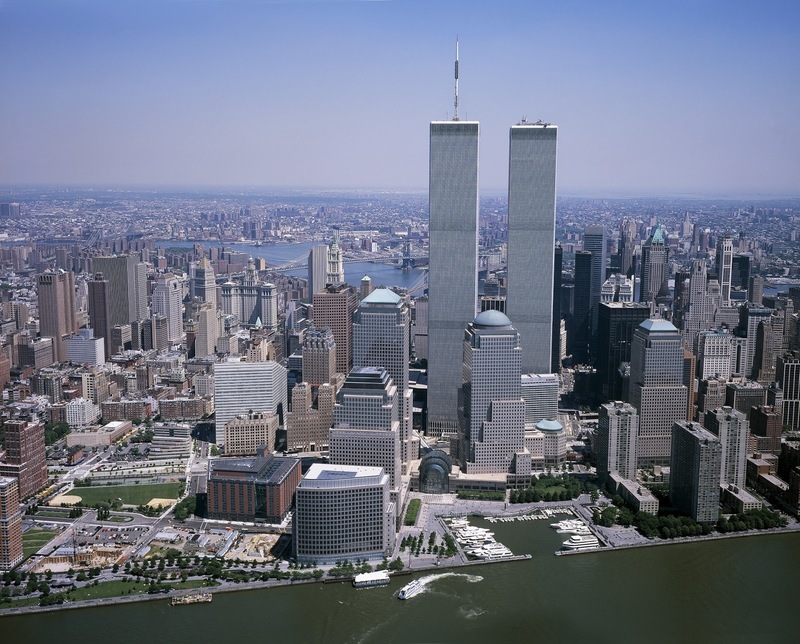 At first, we thought it was an unfortunate accident until...a plane hit the second tower. Fear and confusion were my first reactions until more was known and then, reality set in. 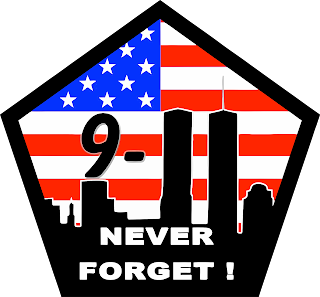 The loss of many lives would soon be known and our country would be changed forever. I had the recent pleasure of viewing the beautiful New York City skyline which now holds the Memorial Tower in honor of all those whose lives were lost that day. While I didn't know any of them, I still mourn them and all they experienced that day - whether emergency personnel or innocent individuals. 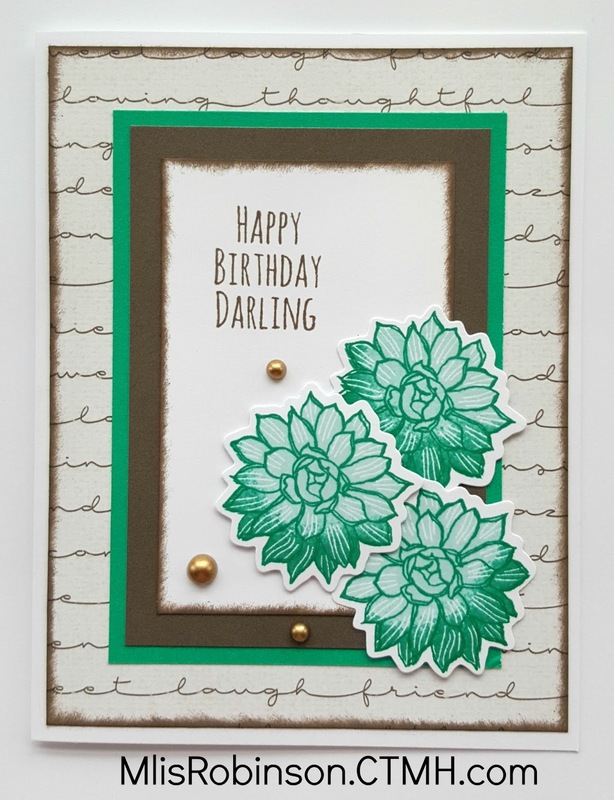 Have you see this month's special in honor of National Stamping Month? The adorable From the Heart card kit puts a fun spin on cardmaking with interactive, gold bases. You can purchase the kit items in a couple of ways but first...let's look at some of my samples and then keep reading for those details. Check out how they look when they are open and standing! Aren't they fun and beautiful?! They slide open with space for you to provide a signed greeting. A Journaling Pen was used to doodle around the edges and Shin Han markers provided fun colors to the stamped images. Here are the other two. I sponged the edges with coordinating colors, to add a little texture to them. The floral image below "congrats" was created using three stamp images (hard to tell from the angle) and inks. The other stamped images were colored in with ShinHan markers. Here you can see the card pieces, envelopes, and stamp set (that contains images on two, 6" x 6" sheets). You can buy the card kit (and save 20%) or just certain parts of the kit. These are some of the stamp images that can be layered to create beautiful flowers and floral spreads. I did a simple one on the left and then above the "thinking" of you. The individual images allow for beautiful and creative options to create a bouquet of your choice. This sheet contains some beautiful stamp images with sentiments and floral images. Get this kit during this month only (or while supplies last) with details found through this From the Heart link. Of course I am always happy to answer your questions. Welcome to this week's Heart 2 Heart Challenge where we are incorporating all or some of the following colors into our artwork: Toffee, Pomegranate, Sorbet, Canary, Peacock, and Pebble. Why not join us?! 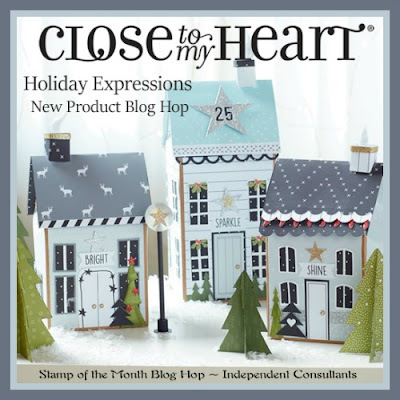 To participate all you have to do is incorporate the theme, using Close To My Heart products, and then link up to the challenge at Heart 2 Heart. Let's check out what I created, shall we? 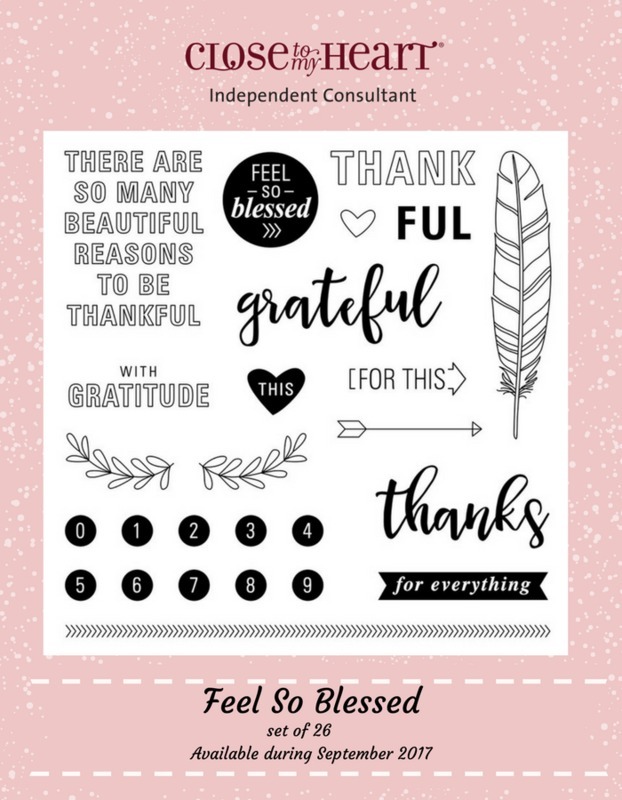 Using the September Stamp of the Month, "Feel So Blessed", I created this thank you card. (All colors were used except for Canary.) The leaves were stamped on some patterned paper and fussy-cut. The Pebble striped paper is from the Beary Christmas paper pack (which you will absolutely love). The Gold Pearls were the finishing touch for this card, with the help of some White Twine. Thanks so much for visiting my blog today. Be sure to link up to our challenge at Heart 2 Heart. I look forward to seeing your artwork there! Happy National Stamping Month! How are YOU planning to celebrate?! 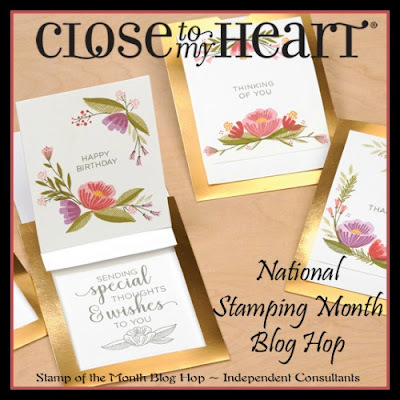 This year's National Stamping Month promotion features the exclusive From the Heart card kit which contains an E-size stamp set as well as materials and instructions for creating 12 interactive cards with detailed stamping. Individual components of the card kit are available at their retail price, but you save 20% when you purchase them as part of the kit! There are two ways to GET THIS KIT FREE! 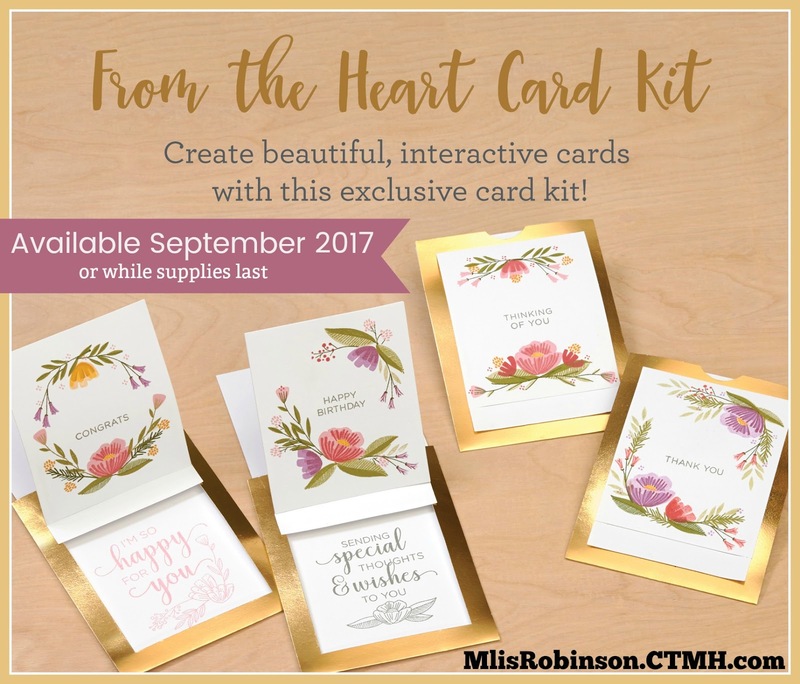 Hostesses that host a Gathering in September that reaches the third level of Hostess Rewards, or higher, can get the From the Heart card kit (CC1229) as a FREE item! That's a $43.90 retail value (in addition to the other FREE products earned)! 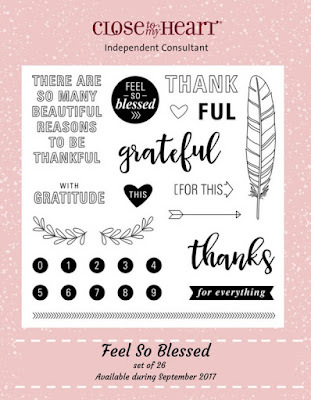 New Consultants who join up during September will receive the From the Heart card kit (CC1229) FREE in their New Consultant Kit - and added value of $43.90! You can find details about the Consultant Kit and joining my team by visiting my website. Tuesday I will post samples of the cards I made...which I think you will love! Until then, go check out all that is offered in this From the Heart card kit and contact me if you have any questions. See you then! There are quite a few images included in this stamp set, providing some great flexibility for its use, and we intend on showing some fun artwork incorporating it. If you are coming from Wendy Kessler's Blog, you are on the right track. You can find a complete list of blog hop participants by visiting this link. 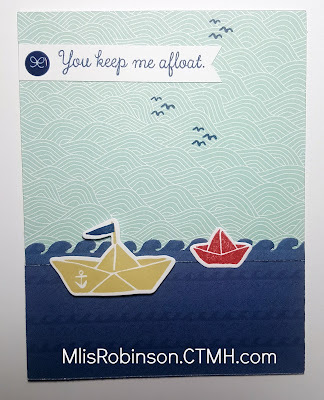 I chose to use the Falling For You paper pack for this card. While I am typically not a fan of fall colors, I fell in love with the paper pack the moment I saw it. I love the patterns and colors included and cannot wait to create more with it. This card was kept relatively simple, to not detract from the paper pack nor stamp images. 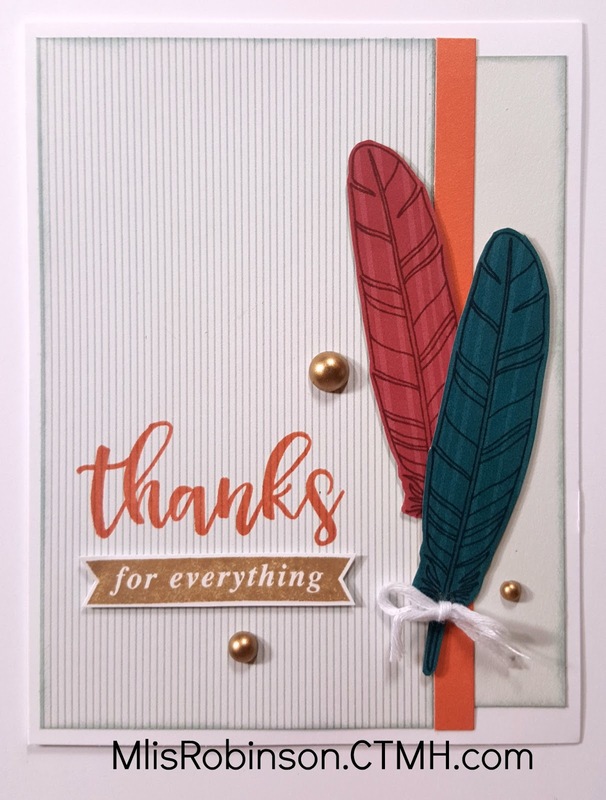 I added a few Gold Pearls and two of our newest Basic ink colors, Toffee (lighter brown) and Nutmeg (darker brown). Before heading over to Michelle Stewart's Blog, consider leaving a comment. I always love to hear your thoughts on my artwork. 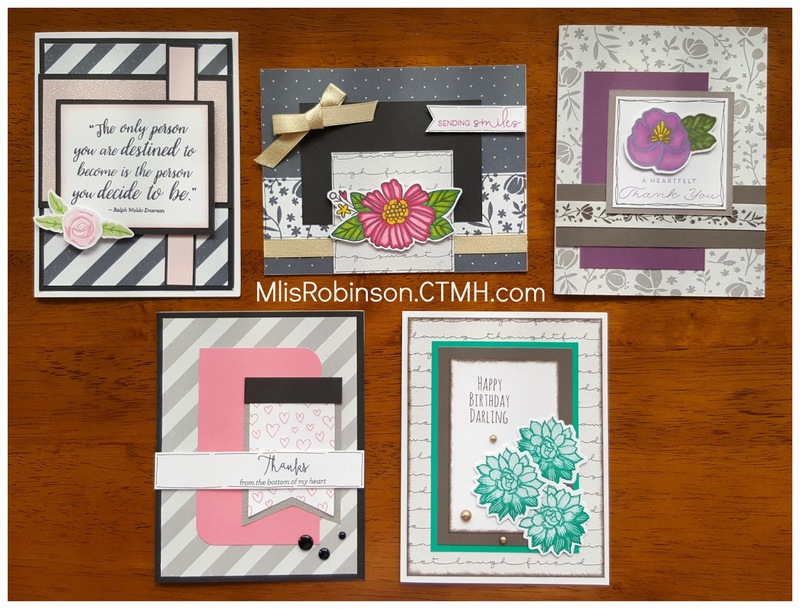 Join me as you make one of each of these five cards using various patterns of paper from the Basic Fundamentals paper pack and a variety of new products. All pieces will be pre-cut and ready for stamping, coloring and assembling with the products I possess. This gives you an opportunity to try them and consider purchasing them for your personal use. Because I special order the products, the class fee must be paid in advance (and by the RSVP deadline) to confirm your spot. Please contact me with any questions you may have. KITS TO GO: If you are unable to attend this event in person, arrangements can be made for a kit-to-go. The items will be pre-stamped for you and will be mailed, with full-color directions for assembly. The cost is $20. Be sure to provide your shipping address, especially if you know I do not already possess it. CARD KIT DIRECTIONS: Fellow Close To My Heart Consultants can purchase the assembly directions to offer this workshop to their customers. Select the appropriate link below.